he MIME consortium includes 20 universities, one independent non-profit foundation, and one SME, representing no less than 16 different countries. 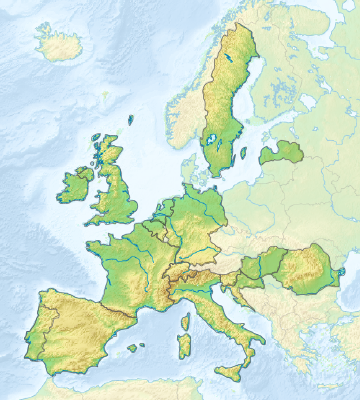 The location of consortium partners spans northern and southern, eastern and western Europe. The range of scientific and methodological backgrounds brought together in the project is very rich, with researchers specialised in linguistics, political science, history, philosophy, sociology, geography, economics, education, translation studies, psychology, and law. All the team leaders have an established interdisciplinary record, and many have experience in the management of large-scale national or international research projects. Together, they form a unique multidisciplinary network, which benefits from the support of a dedicated and very experienced project management company. This SME guarantees professionalism in the management of the MIME project and frees partners from most administrative duties, enabling them to concentrate on research work. The University of Geneva (est. 1559), is the second largest in Switzerland with over 15’000 students. It is considered one of the three leading generalist French-speaking universities in the world. It enjoys international renown and is consistently ranked among the top 1% out of 20,000 universities. UNIGE is currently involved in some 150 European projects and coordinates 13 FP7 projects. It offers top-level research infrastructure to a teaching and research staff from over 100 different nationalities. The University’s Faculty of Translation and Interpreting (FTI) is the oldest and one of the top three worldwide in its field, and its Observatoire Économie-Langues-Formation (ÉLF) is a unique research hub in the economics of linguistic diversity and multilingualism. The Faculté de Droit is the University of Geneva’s highly-rated Faculty of Law. In addition to excellence in teaching and research, it is noted for its tight networks of cooperation with prestigious Law Schools and major international organisations. Its Centre d'études juridiques européennes (CEJE, Center for European Legal Studies), founded in 1963, promotes teaching and research in European Union Law and its impacts on Swiss Law. The CEJE edits Dossiers de droit européen (DDE) series, published by Helbing/Bruylant/LGDJ (Bâle/Bruxelles/Paris), and is a European Documentation Centre (EDC) specialised in European Union Law. Observatoire ÉLF (Économie Langues Formation) will provide the overall coordination of the project, in close cooperation with the first deputy coordinator at the University of Amsterdam and the second deputy coordinator at the University of Ljubljana. It will also be involved in project management together with partner SCIPROM. At the research level, Observatoire ÉLF will manage work package 5 - “Policy” and lead Task 5.4 on “Integrated language policy”, an area in which the project leader is recognised as a leading international expert with a distinguished record in scientific publications, advisory functions, and regular participation in high-level conferences and networks. The project coordinator has directed or co-directed several large-scale research projects for the Swiss National Science Foundation, the EC (DG Translation and DG EAC), and administrations. He was Deputy Coordinator of the DYLAN project (2006-2011), and a member of the Scientific Advisory Board of the SUS.DIV Network of Excellence, both in FP6. Over the past ten years, these projects have attracted total funding in excess of 7 millions Euros. He regularly advises regional or national authorities as well as IOs or NGOs on language policy. An economist by training, he has developed a strongly interdisciplinary line of research, with publications on topics spanning the themes of all MIME work packages. He is a pioneer of language economics, with major contributions to the development of language policy evaluation. Under the leadership of Christine Kaddous, UNIGE-Droit will carry out Task 6.2 “Multilingualism and consumer protection”, as part of the pilot studies in the “Frontiers of multilingualism” work package. The team will be in closer interaction with partners from WP2 - “Society”. The task leader, a lawyer specialised in European integration issues, is a leading international expert in European Union Law, with a distinguished publication record and regular participation in high-level conferences and networks. She has directed or co-directed research projects supported by the Swiss National Science Foundation (SNSF) and the Swiss Network for International Studies (SNIS). She regularly serves as counsel for the Swiss government and as an expert for the European Parliament, including during hearings before the Committee on the Internal Market and Consumer Protection. In 2007-2011, she was in charge of the training programme on European integration for leading members of the Swiss federal administration. The Universiteit van Amsterdam is a major research university and a member of the League of European Research Universities (LERU). It has its origins in the Athenaeum Illustre (1632) and, with over 30,000 students, over 5,000 employees and an annual budget of 600 million euros, is one of the largest general research universities in Europe. It ranked best in the Netherlands in the latest QS World Ranking, it ranks high in the Times Higher Education World University Rankings, especially in Social Sciences (top in the Netherlands) and Arts & Humanities, as well as in the Academic Ranking of World Universities (also known as Shanghai Ranking) and the CWTS Leiden Ranking. The Faculty of Social and Behavioural Sciences includes the Amsterdam Institute for Social Science Research (AISSR), home to several research structures, in particular the Centre of Urban Studies (CUS). CUS is a multidisciplinary centre bringing together social and political scientists, especially human geographers, urban and regional planners, urban sociologists, demographers, and scholars in the fields of migration studies and development studies. The Faculty of Social and Behavioural Sciences includes the Amsterdam Institute for Social Science Research (AISSR), that unites all social science research of the UvA. It is home to several research structures, in particular the Centre of Urban Studies (CUS). CUS is a multidisciplinary centre bringing together social and political scientists, especially human geographers, urban and regional planners, urban sociologists, demographers, and scholars in the fields of migration studies and development studies. Department of European Studies will play an active role in MIME as first Deputy coordinator in the management and steering of the MIME project, in permanent cooperation with the Project coordinator (Université de Genève), the second Deputy coordinator (Univerza v Ljubljani) and partner SCIPROM. At the research level, the Department of European Studies will be in charge of the management of work package 1 - “Politics” and lead task 1.2 on “Politics of language policies”. The Deputy Project Coordinator has considerable experience in project management, and has coordinated several educational and scientific exchange programmes (1995-2009) between the Netherlands and Central and Eastern Europe candidate countries. He is the coordinator of TOOLKIT, a European research network on transnational communication in Europe sponsored by the Netherlands Organisation for Scientific Research (NWO). A linguist by training, he is actively involved in several scientific networks, and has developed an interdisciplinary approach to teaching and research in the field of European Studies. Amsterdam Institute for Social Science Research / Centre for Urban Studies will contribute to Work package 2 “society” and lead Task 2.3 on “Urban multilingualism”, investigating bottom-up responses to linguistic diversity and issues of inclusion in European cities. It will provide background information on these processes to teams in other work packages, particularly in work packages 3, 4 and 5. The task leader has thorough, hands-on expertise in various aspects of multilingualism and multiculturalism through previous research fellowships in European Union institutions (European Parliament) and missions for the City of Amsterdam on issues of migration and integration. As a political, cultural and urban geographer, she has a long experience of complex inter- and multidisciplinary projects at different scale levels on socially sensitive issues. She has been studying European multilingualism for many years and was one of the organisers of the seminal 1998 Oegstgeest conference of the European Cultural Foundation Which language for Europe? She is a member of TOOLKIT, a European research network on transnational communication in Europe. The University of Ljubljana is the oldest in Slovenia. With more than 56,000 undergraduate, 22 faculties and 3 academies, it ranks among the biggest universities in Europe. Its Department of Translation was founded in 1997, and has rapidly established a reputation of excellence, reflected in its membership of the CIUTI (Conférence internationale permanente d’instituts universitaires de traducteurs et interprètes) (2004), the Consortium of European Masters in Conference Interpreting (2005), and EMT (European Master’s in Translation) network (2009), a partnership project between higher education institutions and the European Commission. As second Deputy coordinator, University of Ljubljana will assist partners Université de Genève and Universiteit van Amsterdam in the overall project coordination. At the research level, Univerza v Ljubljani will lead task 4.2 on “Translation and interpreting” and also contribute to other MIME tasks, in particular in work packages 2, 5 and 6. The task leader has been the local coordinator of several EU-funded research projects, among them TEMCU Teacher Training for the Multicultural Classroom at University, MedInt - Development of a curriculum for medical interpreters. She was the local coordinator and the member of the steering committee of the project OPTIMALE (Optimising Professional Translator Training In A Multilingual Europe), and the coordinator of a bilateral research project with the Boğaziçi University, Istanbul on the role of translation in the process of globalisation in Slovenia and Turkey (2008-2010). Within the project TEMPUS (Traduction et interprétation au Kosovo) she helped set up the translation and interpreting programme in Kosovo. At local level she is involved in the research project Health-Care Interpreting in Slovenia (2010-2013). Founded in 1970, Universität Augsburg is a well-established research university spanning a great variety of disciplines. Its seven faculties offer 80 study undergraduate and graduate programmes to over 18,000 students. Multi-disciplinary and inter-departmental research activities are brought together in three centres of excellence and several institutes, including the Institute of Social Sciences. Universität Augsburg faculty members are currently involved in some 100 research projects funded by the DFG, the German national research foundation and 30 European and international projects. Universität Augsburg will be in charge of managing work package 2 - ‘Society’ and will lead research task 2.2 on ‘Reconceptualising identity’. In addition, partner UAU will serve as Interdisciplinarity Manager, with the special mission to assist the project coordination in facilitating the permanent exchange of concepts and approaches among partners. The work package leader is an internationally recognised authority in the study of language and identity politics, with a long record of involvement in high-profile international research networks. His publication list evidences a wide range of interdisciplinary expertise in the fields of political linguistics and the political sociology of language. He has directed or co-directed several major projects for the Deutsche Forschungs-gemeinschaft (DFG), Finland’s Academy of Sciences and the European Science Foundation (ESF). He was the head of the Finnish research team in the EUROSPHERE project under FP6 (2006–2011), where he also was the co-lead of two work packages. He is the chairman of the ESF-funded Research Networking Programme RECODE (‘Responding to Complex Diversity in Europe and Canada’, 2010–2014), which comprises 13 European countries and Canada. He has served as a member of research and academic teaching assessment boards in Europe and North America. Trained as a sociologist and political scientist, he has pursued a pronounced interdisciplinary orientation in his research on language, politics and society. The Universidade do Algarve, established in 1979, is now composed of three Faculties and four Schools, with an enrolment of nearly 10,000, including 10% from mobility programs, reflecting the attractiveness of its course offerings. Universidade do Algarve is involved in numerous transnational partnerships and projects, within and outside the European Union. It is the Portuguese institution that coordinates the highest number of Erasmus Mundus 2nd and 3rd cycle, and Universidade do Algarve is partner member of several life-learning projects (LLP), thematic networks and European framework programmes. The main topics of research and teaching at Faculdade de Ciências Humanas e Sociais are languages and language sciences, literatures and cultures, arts, communication, history and archeology, psychology and educational sciences. Universidade do Algarve will coordinate work package 3 on “Education” and lead Task 3.3 on “Multilingual Higher Education”, while cooperating with teams in all other work packages, but more closely with specific teams in work packages 4, 5 and 6. Manuel Célio Conceição directed or co-directed several international research projects, in particular in his fields of specialisation: multilingual terminologies, quality assessment in language teaching, and intercultural communication. These projects include REFORTERM – Reformulação e terminologia; REALITER – Pan-latin network for terminology; a thematic network project (TNP Languages III) on Language industries related professions; Intercultural communication as part of the LANQUA programme (Language network for quality assurance). He has also participated in ENLU (European network for the promotion of language leaning among all undergraduates) and HUMART (Tuning social sciences), and was an associate member of the DYLAN project in FP6. The Universitat Rovira i Virgili was founded in 1991 from existing university centres, restoring the University of Tarragona that dated from the 16th century. The Universitat Rovira i Virgili has faculties and schools in the areas of health sciences, social sciences, humanities, technology and experimental sciences. It has more than 12,000 students. Despite its status as a mid-sized university, it consistently scores among the top institutions in Spain for research and publications. Through its Intercultural Studies Group, the Universitat Rovira i Virgili is leader of work package 4, on multilingual mediation. It will also lead research task 4.1 on “Language technologies and industries”, a topic that plays a key role in MIME in providing specific knowledge to other teams in other work packages. The work package and task leader is director of the Universitat Rovira i Virgili's Intercultural Studies Group. He has led or carried out several European and Spanish funded research projects on various aspects of translation, mainly on the online training of professionals in localization and translation technologies. His recent European projects have been on the status of the translation profession in Europe (with MIME partner Université de Genève) and the relation between translation and language learning (with the University of Leicester), and he currently participates in a Marie Curie Initial Training Network. He has specific expertise in the use of translation technologies and the sociological modelling of translation and interpreting. The training of researchers is closely allied with the group’s various research projects and annual graduate conference. The group publishes the book series Translation Research Projects (2007, 2009, 2011, 2012). The Latvijas Universitāte with its 17,000 students, 13 faculties and more than 20 research institutes is one of the largest comprehensive and leading research universities in the Baltic States. It is the main centre of intellectual life in Latvia, and it has recently embarked, through the setting up of new faculties and study areas, in an ambitious programme of quality improvement in teaching and research. Its Advanced Social and Political Research Institute (ASPRI) is recognised as one of leading European centre of expertise in security studies. Latvijas Universitāte will manage work package 6 - “Frontiers of Multilingualism” and lead research task 6.1 on “Multilingualism and security”. Work package 6 is a highly innovative component of MIME with an exploratory orientation, opening up the field of research of multilingualism to unusual questions. The work package 6 and Task 6.1 leader has coordinated several international research projects for the Latvian Ministry of Education and Science, the European Commission’s DG for Research and Innovation, and the European Parliament. She was a national coordinator of EU FP6 project “Welfare and Values in Europe: Transitions Related to Religion, Minorities and Gender Equality”; chair of the expert group of the EC on “Global Governance of Science” and “Ethical and Regulatory Challenges to Science and Research Policy at the Global Level”. She is also a member of several national and international advisory boards. The Faculty of Humanities and Social Sciences (FFOS) is part of J. J. Strossmayer University, Osijek, the third largest university in Croatia, with over 20,000 students and involvement in over 200 national and international projects. FFOS operates in a multi-ethnic and multilingual setting, and is the leading regional institution of higher education offering BA, MA and PhD programmes in the humanities and social sciences, bringing together a diverse student body. The Faculty of Humanities and Social Sciences currently coordinates 11 research projects in the field of humanities and social sciences, and offers excellent research and event hosting infrastructure. The Faculty of Humanities and Social Sciences manages work package 7 “DATE”, which coordinates the Dissemination, Awareness, Training and Exploitation activities of MIME, in close cooperation with SCIPROM and project coordinators (Université de Genève, Universities van Amsterdam, Universe v Ljubljana). FFOS will organise and keep track of internal and external dissemination, facilitate and co-host Stakeholder forum events, plan and host two doctoral schools and prepare the closing consensus conference. The Faculty of Humanities and Social Sciences has a strong background in regional and cross-border cooperation, research and higher education in a multilingual and multicultural setting. FFOS-based work package 7 leader currently manages the research and international cooperation activities of FFOS (over 150 employees) and has experience in running national associations and international conferences, as well as editing both in-house and internationally published volumes. In 2011, The Faculty of Humanities and Social Sciences co-hosted a cross-border conference Concepts and Consequences of Multilingualism in Europe 3, organized by the International Standing Group on European Multilingualism (ISGEM), and in 2012 published a special thematic issue on multilingualism in the The Faculty of Humanities and Social Sciences journal Jezikoslovlje. The Fondation Nationale des Sciences Politiques (Sciences Po) is a self-governing research university specialised in the social-economic sciences and the humanities with an enrolment of 11,000, including 40% of foreign students from more than 130 countries. Sciences Po is the leading research university in the social sciences in France, with 400 academic partnerships with universities around the world. Sciences Po is home to a doctoral school offering seven graduate programs. 17 of the Sciences Po research teams have been involved in FP6, and around 30 in FP7. With its million-volume collection the library is the richest in humanities and social sciences in continental Europe. The active publishing house with more than 1000 titles in its catalogue and six academic journals, Les Presses de Sciences Po, disseminates the research results of its ten research centres, five of which are closely linked to the National Centre for Scientific Research (CNRS). One of them, the CERI (Centre d’études et de recherches internationales) brings together experts on international relations and area-studies specialists of various disciplinary backgrounds including political science, history, economics, sociology and anthropology. The centre’s faculty currently consists of over fifty fellows and a dozen research associates. The centre maintains a state-of-the-art website (www.ceri-sciences-po.org). Astrid von Busekist has highly targeted expertise as a renowned specialist in language policies from the perspective of political theory, with an emphasis on the role of political cultures. She has been involved in numerous collaborative, interdisciplinary research projects conducted in French, English and German. Her scientific record is reflected in major publications which include several theme issues of scholarly journals. She is the current chief editor of the journal Raisons Politiques, an interdisciplinary journal whose board includes historians, philosophers, sociologists and economists, and was one of its co-founders in 1999. The Hungarian Academy of Sciences, established in 1825, includes since 2000 the Institute for Minority Studies, which works under the auspices of the Centre for Social Sciences (mta-tk). The primary objective of the Institute is to conduct research on minority communities in the social, economic and political spheres in Hungary, the Central European region, and Europe as a whole. The Institute brings together cultural anthropologists, legal experts, sociologists and historians and works in close co-operation with other institutes in the Centre for Social Sciences, particularly Institutes for Legal Studies, Political Science and Sociology. The Centre for Social Sciences is currently involved in various international research projects and is partner in 20 FP7 projects. It offers an excellent research infrastructure for the more than 100 research staff. Mta-tk will lead task 1.3 devoted to “Language and Minority Rights”. The issue of minority rights is relevant to the analyses carried out in all the other MIME work packages, and partner mta-tk will accordingly be providing regular background expertise to research teams in work packages 2 through 6. Dr. Vizi has extensive expertise on minority rights and their implementation in contemporary Europe. He has contributed to research projects on minority language rights (e.g. EU SSA financed programme: Dimensions of Linguistic Otherness: Prospects and Maintenance and Revitalization of Minority Languages; member of the organizing committee of 11th ICML) and provided expertise for international organisations (OSCE, Council of Europe, UN) and NGOs on the domestic implementation of international minority rights standards. The Vrije Universiteit Brussel was established following the splitting in two parts, in 1970, of the Université Libre de Bruxelles, which was founded in 1834 to be a university fully independent from state and church, where academic freedom would be prevalent. Today, the university numbers more than 11,000 students. It is a strongly research-oriented institution and it is ranked 189 (out of 700) in the QS World ranking. BRIO (Brussels Information, Documentation and Research Centre) is a leading hub of expertise on diversity, multicultural cities, multilingualism and integration, and is famous for its language surveys. Vrije Universiteit Brussel will lead task 2.1 on “new mobilities”, taking advantage of its environment in a region characterised by an extremely rich mix of immigration profiles. It provides a suitable template for the broader consideration of a full range of new forms of mobility across European contexts. Given the centrality of the notion of mobility in MIME, Vrije Universiteit Brussel will assist teams in all other work packages in the development of their respective operationalisation of “mobility”. Rudi Janssens is a member of the interdisciplinary BRIO research centre of the VUB focussing on four research axes: language policy and integration, diversity in society, politics and administration in a bi/multilingual region and comparative research on divided and multilingual cities. He is responsible for the language survey research in Brussels and its periphery. Trained as a sociologist, he is very much oriented towards international interdisciplinary research, in projects such as “Relations ethniques, langue et éducation” as part of a Quebec-Flanders cooperation scheme (2008-2010). Università di Milano-Bicocca is a young university founded in 1998, and thanks to the quality of its teaching and research, it has rapidly earned international recognition, with a high position, among the universities created less than 50 ago, in the 2012 Times Higher Education Ranking; the Top 400 World Universities Ranking 2011-12 rates Università di Milano-Bicocca as the first Italian university. With a student enrolment of about 35,000, including 8% from abroad, Università di Milano-Bicocca offers first-rate teaching and research infrastructure to scholars and students of various disciplines, including economics, science, medicine, statistics, sociology, psychology and humanities. Università di Milano-Bicocca's high degree of integration in international networks is reflected in some 500 cooperation agreements with institutions in 41 countries. Dipartimento di Scienze Umane per la Formazione will lead task 3.1 on “Reassessing the language curriculum”, a particularly central task in MIME given the importance of education language policies. Accordingly, Dipartimento di Scienze Umane per la Formazione will provide back-up information on language education to other teams in all the work packages. The Dipartimento di Scienze Umane per la Formazione task leader is founder and director of the Centre d’Études Linguistiques pour l’Europe based in Vasa/Vaasa (Finland). He has directed or co-directed a number large-scale research projects for the Italian Ministry of Education and the European Union (DG 22), as well as national, regional and local authorities in Europe (mainly in Italy, Latvia, Spain, Finland, Switzerland). He has longstanding experience in carrying out research projects in sociolinguistics, language-identity relations and language education of minorities in Europe, collecting and using data bases with thousands of respondents. The Dipartimento di Scienze Umane per la Formazione will also lead task 3.2 on “Informal and non-formal language learning” in meeting the needs of speakers of locally non-dominant languages (including both ‘traditional’ minority languages and ‘immigrant’ languages). One of its strategic contributions is to provide, very centrally in the MIME project design, a direct connection to the Canadian experience in language education. Given the importance of this comparative perspective in MIME, Università di Milano-Bicocca will be providing informational background to other teams in all the work packages. The partnership takes advantage of the expertise developed by Dipartimento di Scienze Umane per la Formazione in collaboration with the Centre d’Études Linguistiques pour l’Europe, with large-scale research projects for the Italian Ministry of Education and the EU (DG 22), and of the Canadian institution’s strong track record in post-secondary programs and community-based research projects involving education in Canada’s official, immigrant and indigenous languages. The task leader has experience in large-scale projects, currently including Building Inclusive Schools through Imaginative Education Community-University Research Alliances, and Aligning Education and Sustainability in Maple Ridge, BC: A Study of Place-Based Ecological Schooling Community-University Research Alliances, with funding in excess of CAD 1m each. Universität Leipzig, founded in 1409, is a research university, which offers education in a rich and diverse research environment for about 28,000 students taught by approximately 400 faculty members. The large variety of 14 faculties (covering disciplines from medicine to natural sciences, from mathematics to theology and from social sciences to sports) offers excellent opportunities for interdisciplinary work. In the years since the political changes in 1989 significant amounts of money have been invested in the research infrastructure, so that Universität Leipzig is a top institution both in buildings and equipment today. Universität Leipzig is involved in more than 50 FP7 projects; its Faculty of Philology is the largest in the university. Universität Leipzig is responsible for task 4.3 on “Lingua franca”, which is a major research topic of the person in charge. MIME approaches the use of a lingua franca as a communicative strategy in conjunction with others, which implies a particular tight co-operation with tasks in work package 3 as well within work package 4. Cooperation with teams in work packages 2, 5 and 6 will also be pursued, owing to the sociological, political, and economic implications of the topic. The task leader is a recognised expert on lingua franca communication, a theme on which she has published widely and contributed original scientific perspectives. Her work on lingua franca communication concentrates on English as a lingua franca and the use of planned languages in this function; she currently steers a comparative project, in cooperation with scholars from various European countries, on "The influence of English on the phraseology of European languages". Her research interests also include translation studies and language policy. Université de Reims Champagne-Ardenne was created in 1548, thanks to the Cardinal de Lorraine who made the papacy turn it into one of the main cathedral schools in Europe in the Middle Ages. It was closed down in 1793 and was reborn in the 1960s as a multidisciplinary university. With 22,000 students, 1,557 teachers and teacher-researchers it holds/has a geostrategic position favouring European and international exchanges; 350 such co-operations with 38 countries are currently active. The laboratory CIRLEP "Centre interdisciplinaire de recherches sur les langues et la pensée" develops three research axes, including one on “Intercompréhension et didactique du plurilinguisme”. Laboratoire CIRLEP "Centre interdisciplinaire de recherches sur les langues et la pensée"
Université de Reims Champagne-Ardenne will lead task 4.4 on “Intercomprehension” (IC), and work closely with partners from work packages 3 and 4 (particularly with Università di Milano-Bicocca, Universidad do Algarve and Universität Leipzig).The university will also contribute to work packages 5 and 6 (Université de Genève and Uppsala Universitet respectively) because of the highly practical nature of IC and its applicability in policy making. .
Université de Reims Champagne-Ardenne project coordinator, Eric Castagne is the director of the InterCompréhension Européenne (ICE) research program. He took part in the EuRom4 LINGUA project (1991-1997), collaborated (2000-2002) and coordinated (2002- 2003) a Socrates PROG entitled “Médiation culturelle et sociétés de l'Europe Méditerranéenne” which created the “Langues et cultures de l’Europe Méditerranéenne” European module. He also has been involved as an expert in projects for the French Ministry of Culture and Communication. Humboldt-Universität zu Berlin is one of Germany’s 11 “Universities of Excellence”. It was successful in all three funding lines in the third round of the Excellence Initiative of the German federal and state governments. The University covers all the major academic disciplines in the Arts and Humanities, in Social Science, Cultural Science, Human Medicine, Agricultural Science, Mathematics and the Natural Sciences. Research at Humboldt University is internationally acknowledged in several subject areas, such Mathematics, Medicine, Physics, Chemistry, Biology, History, Cultural and Art Studies, Scandinavian Studies, Economics and Law. Humboldt-Universität zu Berlin is currently involved in some 40 FP7 projects. The MIME project is attached to the Research group on Economics and Language (REAL) at the Institute of Education Science in the School of Humanities and Social Sciences. Humboldt-Universität zu Berlin will lead task 5.1 on “Multilingualism and dynamics”. It plays a crucial role in the MIME design as the project’s centre of expertise in the formal modelling of language dynamics. Such modelling will be developed for a wide range of issues, and partner Humboldt-Universität zu Berlin will be providing technically advanced tools relevant to all the work packages in the project. Prof. Bengt-Arne Wickström is one of few scholars in Europe who has extensive research and teaching experience in language economics. He has published numerous contributions on evaluation of fairness in language policy and planning as well as language rights and the theory of language dynamics. Before his mandatory retirement in 2013 from the Chair of Public Economics of the School of Business and Economics, he lead a seminar on language economics entitled Ökonomie und Sprache at Humboldt-Universität. In 2011, he was invited speaker at the second doctoral school of the DYLAN project (“Language dynamics and management of diversity”, FP6) in Vienna. After his retirement, he is working on the MIME project as a guest of the Institut für Erziehungswissenschaften (Education sciences) and the director of the Humboldt part of the MIME project, professor Jürgen van Buer. Situated at the heart of Western Europe, K.U. Leuven has been a centre of learning for almost six centuries. Founded in 1425, K.U. Leuven bears the dual honour of being the oldest extant Catholic university in the world and the oldest university in the Low Countries. It has over 40,000 students and 18,635 employees. The university strives towards excellence in research. K.U. Leuven is the 5th University in the FP7 ranking, with 434 granted projects in total (as of August 2012) and in the European top 10 for ERC-grants. K.U. Leuven will lead task 5.2 on “Linguistic Justice”. Research in this area addresses questions that run throughout the “multilingual challenge” and are relevant to practically every single task in MIME; accordingly, conceptual advances developed in this cutting-edge line of research will be shared with partners across the entire MIME project. A specialist of linguistic justice, nationalism and federalism, Helder De Schutter has a successful record at attracting national and university-based research funding, enabling him to set up a research group with a staff of 9. He has been involved in the establishment of a Centre of Excellence on Global Governance funded by a Leuven Excellence Grant of € 1m for 7 years. Dr. Nenad Stojanovic is well-published young specialist of political structures and challenges to democracy in divided and/or plurilingual societies. He has carried out several research and consultancy work on politically sensitive issues such as constitutional reform in Bosnia and Herzegovina. The University of Limerick is an independent university established in 1989; its campus is at the heart of the 650-acre National Technological Park, which holds over 80 organisations and employs over 4,000 people, and with which the University of Limerick maintains close working relationships. With a solid record of involvement in EC funded collaborative projects, the University of Limerick has a thriving reputation in social science and humanities research supported by one of four university-wide research institutes, the Institute for Study of Knowledge in Society (ISKS). ISKS and the University of Limerick have participated in Framework since FP3 as well as in EC research training initiatives. Previous large-scale funded projects have included those funded by the EUSSPPR, Programme of Strategic Cooperation between Irish Aid and Higher Education and Research Institutes, FP7 Project Funding and the Irish Research Council for the Humanities and Social Sciences. University of Limerick will lead task 5.3 on “Language and Social Justice” in Work package 5 - “Policy” and will contribute to other MIME tasks, in particular in the “Policy” work package. The University of Limerick coordinator participated in an interdisciplinary research programme on Identities and Culture in Europe since 1945 at University College London, is convenor of the Political Theory Specialist Group of the Political Studies Association of Ireland, and is a member of the Association for Legal and Social Philosophy, the Britain and Ireland Association for Political Thought, the UK Political Studies Association and the Political Studies Association of Ireland. A political theorist, he has pursued research on distributive justice as well as cultural and linguistic diversity. Much of his research has been of an ‘applied’ and policy orientated character, including published work on language policy, education policy and legal issues. The University of Edinburgh (est. 1583), with over 20,000 undergraduates and 10,000 postgraduates, is consistently ranked amongst the top universities in the world. It is a member of both the League of European Research Universities, an association of 21 leading research-intensive universities in Europe, and the Russell Group, an association of 24 leading United Kingdom research universities. The department of Celtic and Scottish Studies has developed an outstanding reputation for research on all aspects of Gaelic language policy, as well as minority language policy and legislation in general, and has close links with the School of Law, the School of Education, and the department of Linguistics, all having excellent research records. The University of Edinburgh will lead task 5.5 on “Implementing modern language rights”. It has a particular responsibility in a policy-oriented project like MIME, because it will focus on assessing the legal feasibility conditions of the policy orientations formulated on the basis of the work of all MIME partners. The task leader at the University of Edinburgh is the Chair of Celtic Languages, Literature, History and Antiquities, and was formerly the research director of the £5.29 million ‘Soillse’ research project. He is an expert of the Council of Europe, and works regularly with the Secretariat of the European Charter for Regional or Minority Languages, and has also advised the Secretariat of the Framework Convention for the Protection of National Minorities, and the OSCE. He has served on Bòrd na Gàidhlig, the body responsible for Gaelic language development, and on the board of MG ALBA, the organisation which, with BBC Scotland, founded the Gaelic digital television service ‘BBC ALBA’. He has advised on the development of language legislation in Scotland and Wales. Uppsala Universitet was founded in 1477 and is the oldest University in the Nordic countries. Its nine faculties host 40,000 students and number 6,000 employees. Uppsala Universitet is ranked as one of the top 100 in Times Higher Education ranking. The university is currently involved in more than 200 EU-funded projects (approximately 20 as coordinator). The Institute for Housing and Urban Research is a multi-disciplinary research department under the Faculty of Social Sciences. Research at the institute covers housing, the built environment and urban issues, but also migration and mobility. Since 2010, the institute holds a long-term program grant for research on international migration and ethnic relations, funded by one of the major Swedish research councils. Recent international evaluations have praised the high international quality of the research performed at the institute. Uppsala Universitet will lead task 6.4 on “Language needs of mobile retirees”, in the “Frontiers of multilingualism” work package. Given its topic, closer interaction is expected with work package 4 “Mediation”, but task 6.4, will also contribute to other MIME tasks in relation to issues of mobility, identity and social cohesion, banking on the team leader’s targeted expertise in retirement migration. The team leader is a specialist of retirement migration who has also published widely on transnationalism, dual citizenship, international travel, localism/cosmopolitanism and territorial belonging, and carried out both in-house and externally funded research projects on these issues. He's a member of international research networks in the fields of lifestyle migration and business mobilities. Since 2010, he is also program secretary for ‘Dilemmas of diversity’, a major multidisciplinary research program about international migration and ethnic relations at the Institute for Housing and Urban Research, Uppsala Universitet. The Universitatea din Oradea is the descendent of an institution founded in Oradea in 1780 for the teaching of philosophy and became the Faculty of Law eight years later. It has now become a full-fledged university with more than 100 programmes of study at BA level, 80 MA and 11 PhD programmes. It has an enrolment of over 20,000 students and was ranked 17th out of over 100 universities in Romania, is currently increasing its involvement in EU-funded research. Universitatea din Oradea's Research Centre for Identity and Migration Issues (RCIMI) is a partner in the European project “The Fight against Trafficking in Human Beings in EU”. As part of the “Frontiers of multilingualism” work package, Partner, Universitatea din Oradea will lead task 6.3 on “Multilingualism in Roma (Rroma) perspective”. The project design foresees closer cooperation with work package 3 “Education” but its particular focus, Task 6.3 will provide specific inputs to the work of teams in all other work packages. Team leader Lia Pop’s research addresses various aspects of the socio-cultural conditions of Roma communities in Romania and across Central and Eastern Europe, and policy solutions to the challenges of Roma integration in various contexts. She has been involved in several collaborative projects, such as MyGrant City (2008) on migrants’ perceptions of Romania as a host country; or Trafficking of Human Being, begun in 2011. She is the Director of the Research Centre for Identity and Migration Issues (RCIMI). She is also the Director of JIMS (jims.e-migration.ro. ), with responsibility for the publication of the Journal of Identity and Migration Studies. Observatoire de la Finance was set up in response to a question raised in the early 1990s: what is the purpose of financial markets? Observatoire de la Finance today is a think tank linking technical financial expertise with ethical issues. It is an independent, apolitical and non-religious body engaging in multidisciplinary diagnosis regarding on aspects the relationship between economy, finance, and society. Observatoire de la Finance is an internationally-oriented foundation under Swiss law, supervised by the Federal Ministry of the Interior and working under the responsibility of a Board. It maintains close collaboration with the University of Fribourg (CH), INSEAD in Paris, the Centre of Study of Financial Innovation in London, and Finance Watch in Brussels. Observatoire de la Finance will lead task 6.5 on “Multilingualism, creativity and finance”, which is organised in two parts. The first part, focusing on the link between multilingualism and creativity, involves hiring specialist expertise in experimental psychology; the second part, which connects findings from the first with financial issues, will rely on in-house expertise. This task, which is designed as particularly adventurous, will be carried out with regular reporting to the project coordinator Université de Genève, and, for its pedagogical implications, with close contacts with partner Universidade do Algarve. Observatoire de la Finance manages an international prize in Ethics in Finance for candidates under 35 with total awards of 50,000 USD. We are now in the 4th Global edition, 2nd Iberoamerican edition and 1st Polish edition. In 2008, drawing on Observatoire de la Finance’s expertise, a group of board members, experts and sympathizers has published the “Manifesto for Finance to the service of the Common Good”, currently circulated in six languages. The Observatoire de la Finance is oriented towards the sharing of ideas and the dissemination, through public debate, of specialist research, and organises regular public events on issues of finance and ethics. Founded in 2005, SCIPROM is an SME specialised in the management of European research projects. SCIPROM supports scientific coordinators from the first project idea to the final report, in project set-up, submission, negotiation, and management. At present, SCIPROM has 6 employees. • Creation and maintenance of the project web site; project brochure. SCIPROM is currently involved in the management of more than 10 FP7 projects, managing projects in different thematic priorities and with different types of funding schemes including several IPs with 20 or more international participants, including the SSH highlight DYLAN. In addition, more than 10 FP6 and FP7 projects have been successfully completed. All SCIPROM project managers have both a substantial scientific background with several years of research activities and sound experience in project management, including training in IP and financial issues. SCIPROM has extensive in-house knowledge in the creation of project websites incl. custom-made collaboration platforms and dissemination material (brochures, flyers).